Operation:plug and play, no any settings needed. 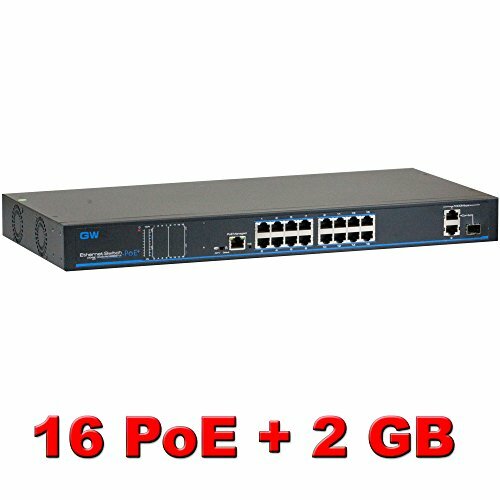 Special Function One Key CCTV Mode: Support VLAN and restrain network storm;1~8 downlink ports can only communicate with uplink ports; the further transmission distance up to 250m in CCTV mode with the transmission speed rate 10Mbps. Protection:Superior lightning protection(6KV), ESD protection and anti-interference ability. Plug and play design, no configuration required. It comes with Rackmount Brackets, it's convenient for wall mounted, desktop and rack installations. 1 Year Warranty and Free Life Time Tech Support.